COPD, or chronic obstructive pulmonary disease, is a significant cause of illness and death worldwide. It is associated with sudden worsening of symptoms that can lead to hospitalisation, such as shortness of breath and a chesty cough with phlegm that never seems to go away. We do not fully understand the cause of COPD but if we can find out, it will help to design the best treatment for the disease. 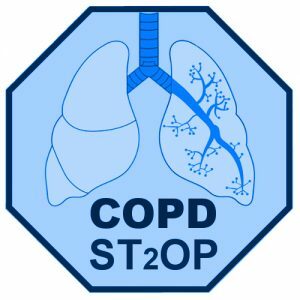 An exciting new trial called COPD-ST2OP is comparing Anti-ST2, an experimental and currently unlicensed drug, with a placebo (‘dummy drug’) to treat COPD with the aim of reducing the number of flare ups of symptoms. The trial is taking place within our respiratory facility at Glenfield Hospital, led by Professor Chris Brightling. The trial is sponsored by the University of Leicester and funded by Genentech, a biotechnology company based in San Francisco, California. The study aims to recruit 80 participants for a 60-week trial. Eligible participants will have a diagnosis of COPD, be a current or ex-smoker and be aged over 40.